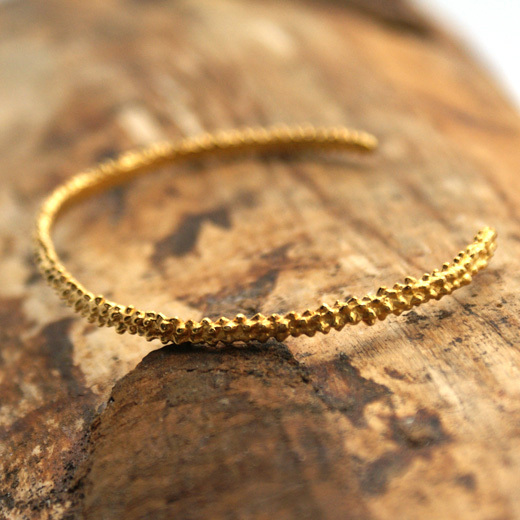 A distinctive bangle from TEGO. 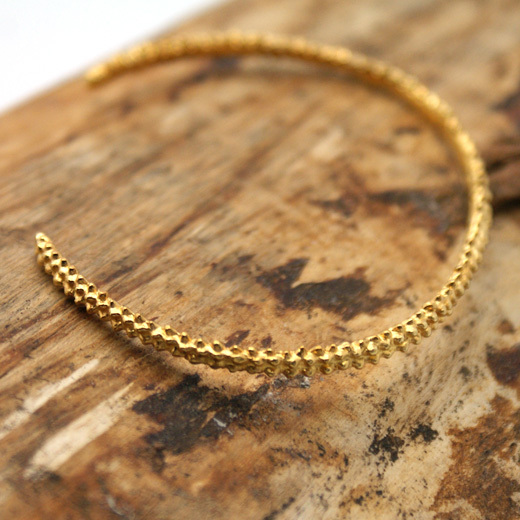 This handmade sterling silver gold plated lychee design bangle is simple but very striking. 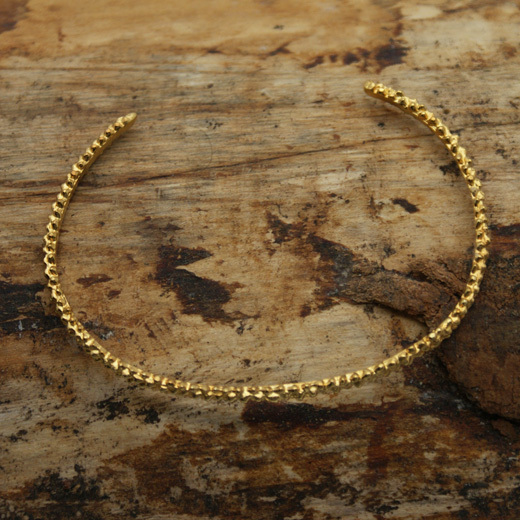 You can wear this bangle with any outfit as a single bracelet or stack it with your favourite bracelet styles for a chic look. 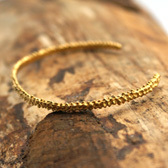 We have earrings to match this bangle on this page. A high quality, Mexican gold plated bangle and great value. Like all of our products, it is brand new and in stock in the UK, ready for our super fast shipping. Not exactly what you are looking for? We have a wide range, see the gold bracelet gallery for other options.